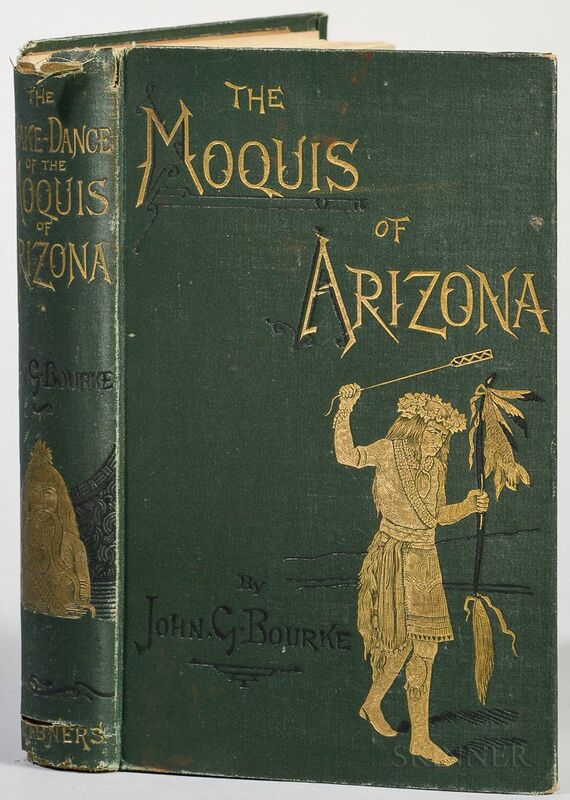 Bourke, John G. (1843-1896) The Snake-Dance of the Moquis of Arizona. 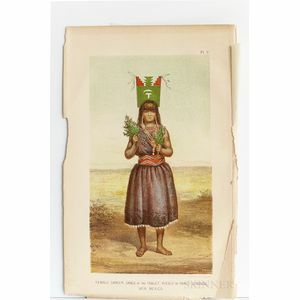 Bourke, John G. (1843-1896) The Snake-Dance of the Moquis of Arizona. 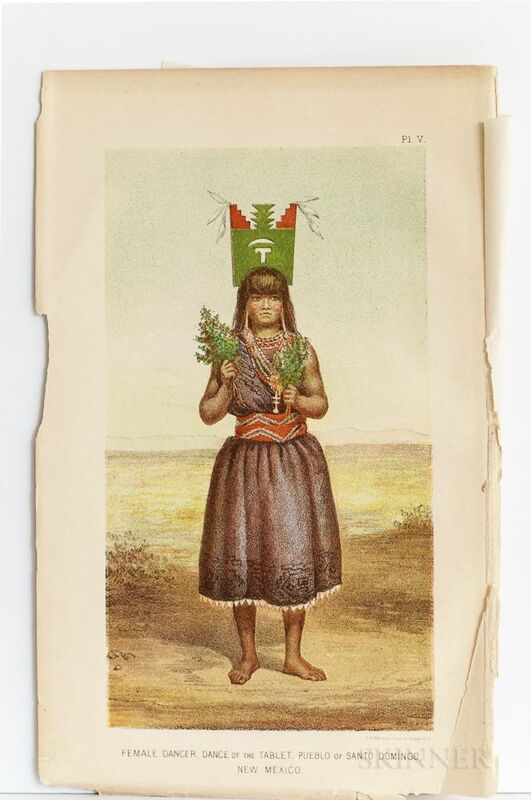 Bourke, John G. (1843-1896) The Snake-Dance of the Moquis of Arizona. 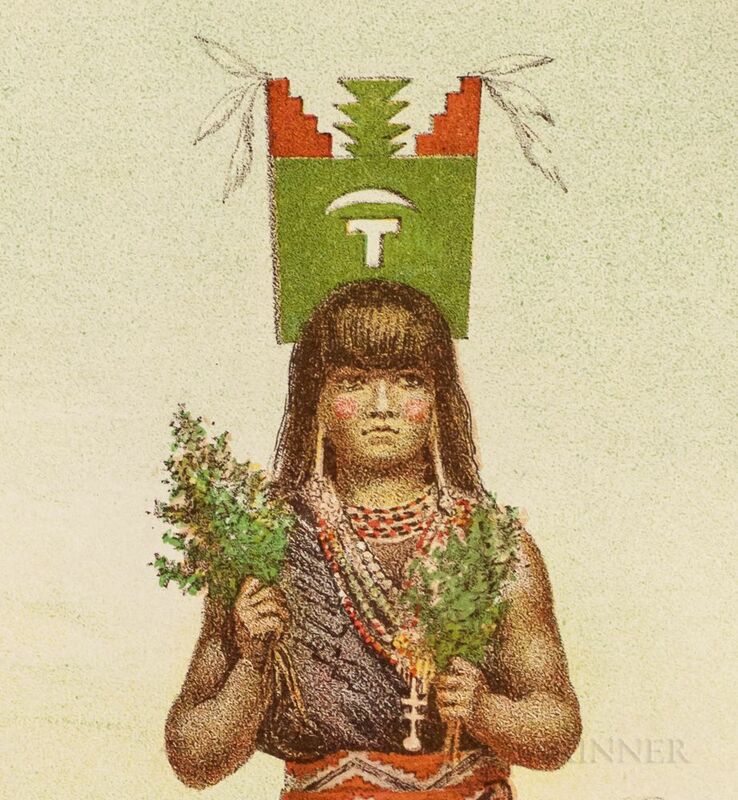 Bourke, John G. (1843-1896) The Snake-Dance of the Moquis of Arizona. New York: Scribner's, 1884. First edition, New York issue, illustrated, bound in publisher's pictorial green cloth, decased, caps chipped and worn, short tear to front joint, preliminaries and final few leaves chipped and detached, 8 3/4 x 5 1/2 in.